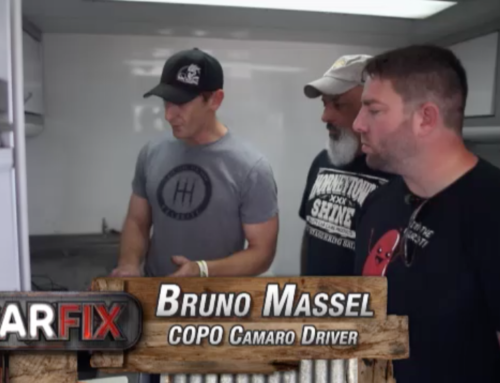 As we roll into August, I thought I’d give you a brief update and share some of the coverage we’ve recently received in both print and television media. 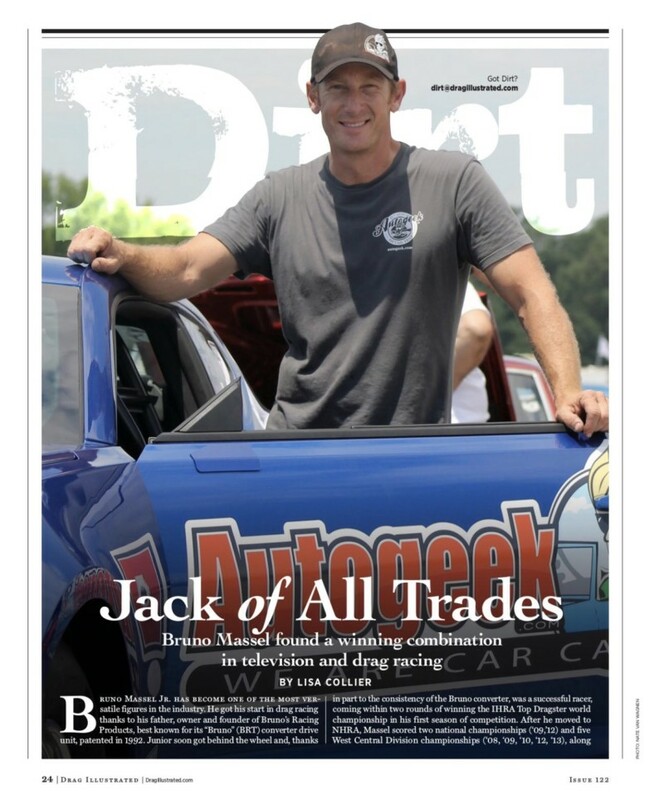 This past weekend, I was off from my NHRA on FOX broadcast duties so what else would I do….pack up and go racing of course. 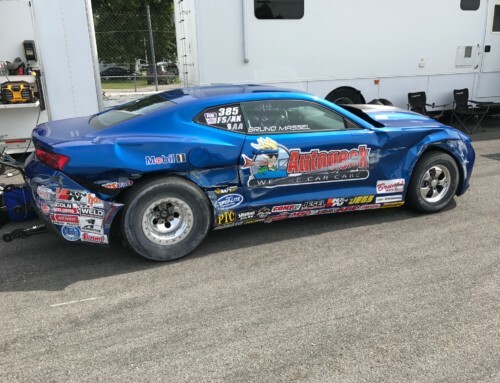 We attended the NHRA Division 5 double header that took place in Topeka, KS where an astounding 661 cars were in attendance, chasing those all important NHRA Championship points. In the first event we again qualified our Autogeek/Mobil 1 Chevy Cobalt #1 for the 4th time in 5 events this season. We made it through a tough field to another final round, but after gaining a large starting line advantage vs our opponent, we unfortunately overpowered the starting line. A brief case of tire shake caused us to be a tick off our qualifying pace, leaving us 2 hundreths of a second short of taking home another Wally! Race two looked to be another march to the Winner’s circle, as we made one of our quickest run’s ever, a 6.82 during round one of eliminations. Unfortunately, lady luck was not on our side. In a Semi-final matchup, that on paper was a no brainer, we had a $2 airline fitting fail, causing the car to lose boost and derail our hopes for our 5th victory in seven races this season. 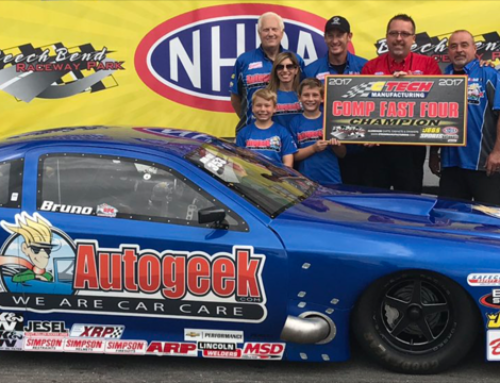 At this point we sit 4th in the NHRA Comp Eliminator National Points standings, with just six of our fourteen points earning races completed. If you look deeper into the numbers, our per race average puts us well into 2nd! Hopefully Lady Luck comes back on our side over the next few weeks, as we are looking to relaunch the our Autogeek turbocharged dragster very soon! We’ve also been “wearing out the dyno” as of late, trying to regain our early season winning form with our Supercharged COPO Camaro. 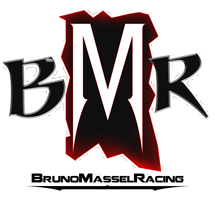 Sometimes you have to take a step back to take one forward, but I assure you, we’re investing a great deal of time, money and effort to move that engine program to the front of the pack. I think we should see the hard work payoff in the coming weeks. 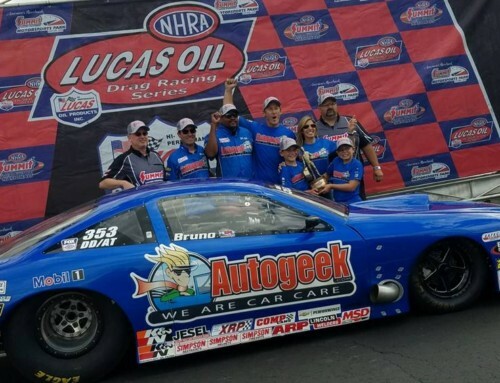 Below is a video link from our win at the NHRA Summit Racing Nationals in Norwalk, OH for those that didn’t get to see the FOX Sports Coverage. 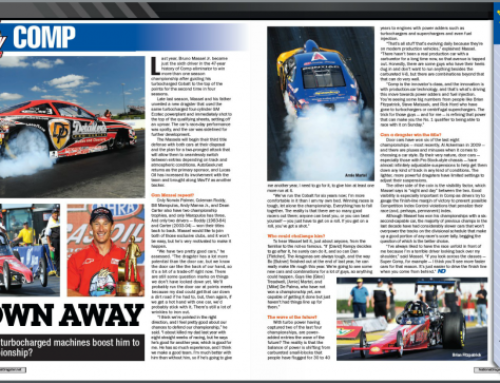 I’ve also inserted below recent articles we’ve appeared in from Drag Illustrated Magazine and NHRA’s National Dragster. This weekend I’ll be behind the microphone once again, reporting for the NHRA as we are live on the FOX broadcast network on Sunday, check it out if you can. Next weekend I’ll be back behind the wheel, at the NHRA Division 5 event in Brainerd, MN looking to move up in the standings. Have a great rest of you week!